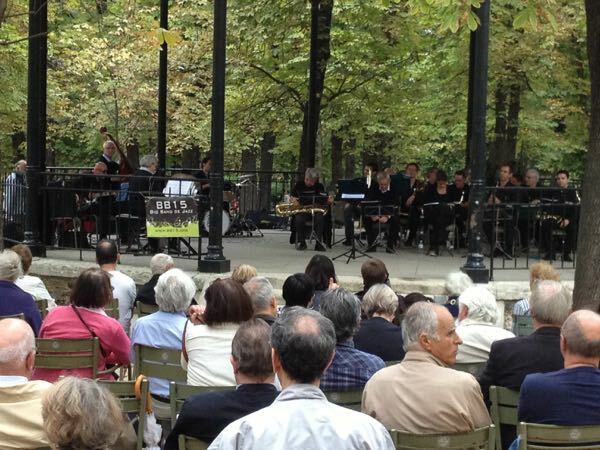 For your next dinner in Paris, how about soaking up the French atmosphere outdoors, be serenaded by local musicians, and save a bit of money? Not at a bistro or café. Travelling can get expensive and it can become tedious eating out all the time, no? Every once in a while, you just want to pick up a baguette, some cheese and wine for dinner. I suggest you have a picnic in Paris. I’ll help you choose a location. 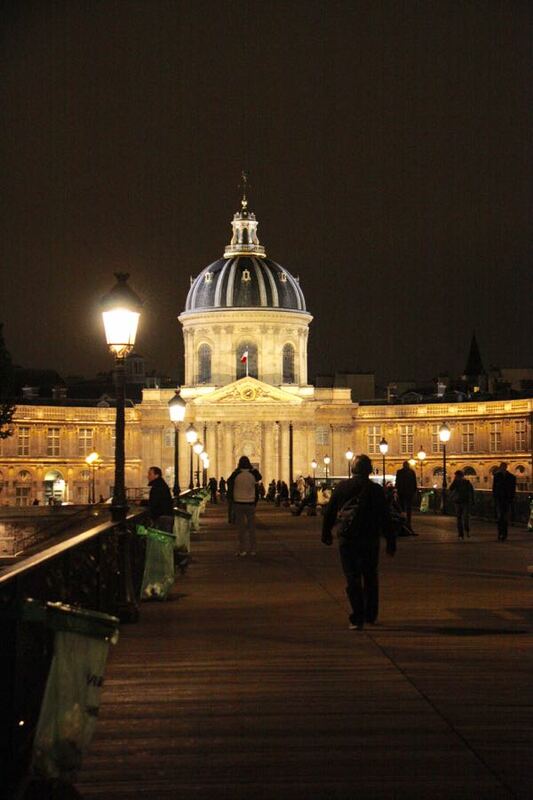 Location: It is a pedestrian bridge that crosses the Seine River and joins the Place de L’Institut de France and the Cour Carée of the Palais de Louvre. This is the famous bridge that used to have the love locks—-padlocks that lovers used to attach to the bridge until the government removed them all due to fears of the bridge collapsing. At dusk, tourists and locals will bring baguettes, cheese, wine and blankets and camp out on the bridge while musicians serenade the onlookers. I did it one August evening and it was lovely. These lovely gardens also have tennis courts, a fountain, statues, a playground for children, and a carousel. I have frequented the path that goes around the perimeter of the gardens as it is perfect for running. There are also many chairs throughout the gardens and the most popular spot is surrounding the basin pond. Another idea is to visit when there is a free concert. One afternoon I sat by the gazebo to listen to a band play music. 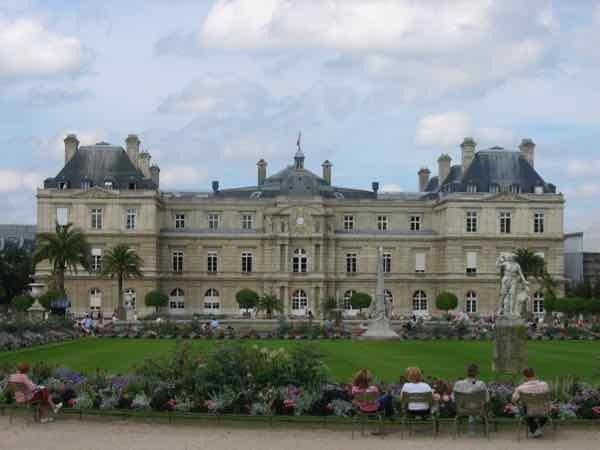 I was able to order a glass of wine from Le Pavillon de la Fontain. It has the oldest planned square in Paris. When the weather is nice, it is popular for picnics as the square is tree-lined and surrounded by houses which date back to 1612. There are many trees and fountains and you are allowed to walk and sit on the grass and have a picnic. 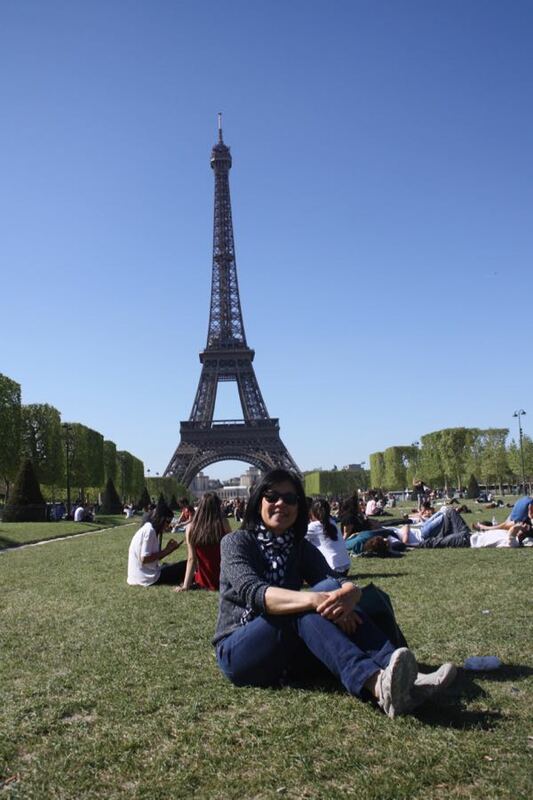 Location: The grassy area in front of the Eiffel Tower is the Champ de Mars. Only certain areas are available for picnics and sitting on the grass and from this location you’ll have a perfect view of the Tower. I love the area because it is not only very peaceful, but it also has some excellent stores, restaurants and bars. Only in the past few years has the area become more of a tourist attraction. 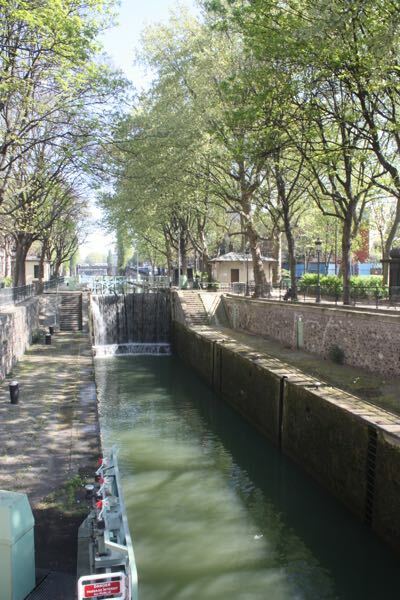 It is one of Paris’ hidden gems. 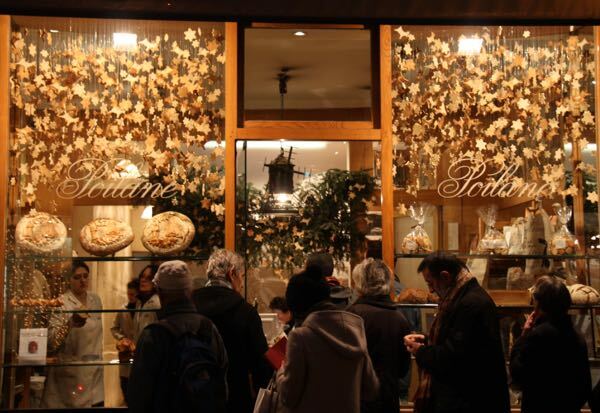 One of the best places for breads and pastries is Du Pain et Des Idées (4 Rue Yves Toudic). 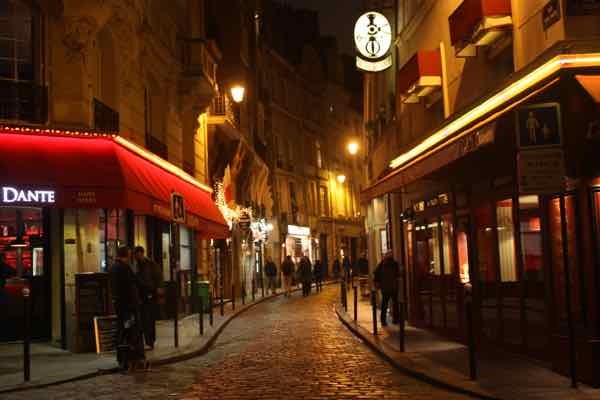 A lot of the movie, “Amélie” was filmed here as well. 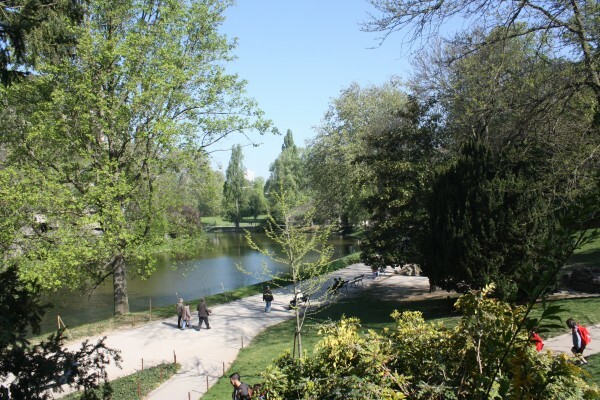 Parc des Buttes-Chaumont is the 5th largest park in Paris and when I visited recently I was floored that there was a waterfall, an old unused railway bridge, and an artificial lake…..in Paris! Location: The Promenade Plantée is also called the Coulée Verte René-Dumont and it is located just 220 metres south of Place de la Bastille on Rue de Lyon. There is a stairway entrance on your left: Le Viaduct des Arts. The Promenade is an elevated walkway that was built on a former railway. 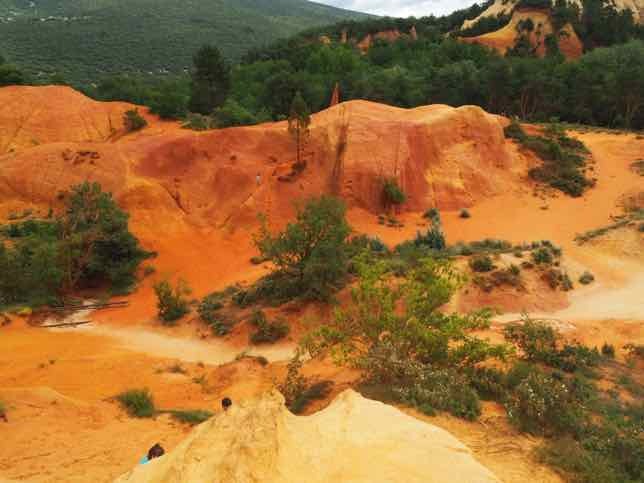 It lasts for about 5 kilometers and has benches and lots of greenery. A very pleasant, quiet place away from all the action (but not too far away) to have a picnic. 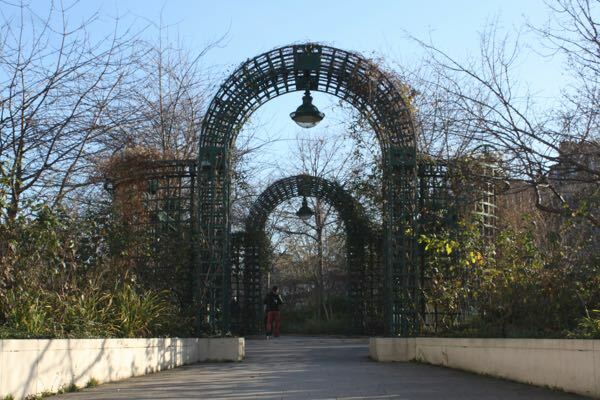 Check out my post for more pictures and details: Relaxing Paris Oasis: Promenade Plantée. 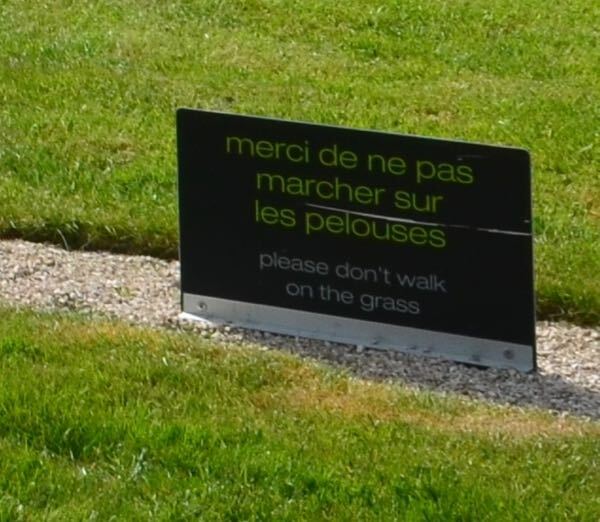 “Priére de ne pas marcher sur les pelouses” (Please don’t walk on the grass). Drinking alcohol in public places Each arrondissement in Paris has its own rules. 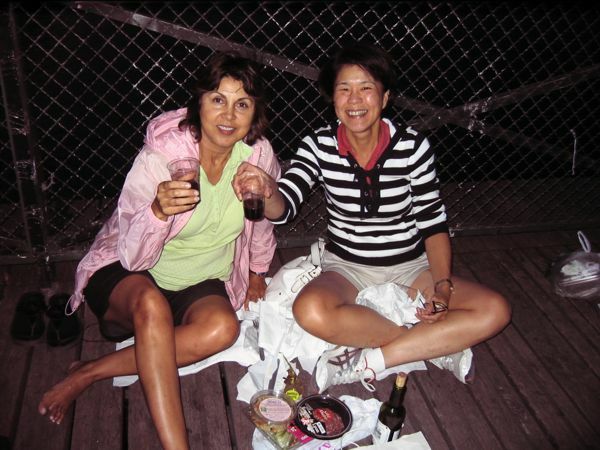 Only licensed establishments can serve alcohol in Paris parks or gardens; however, many people bring their own wine when they picnic. They just don’t make it obvious. Keep in mind that the police will confiscate alcohol at Champ de Mars, by the Eiffel Tower. It’s also been said that drinking in parks after 9 pm is prohibited and if you are caught, you can be fined. Poilâne ( 8 rue du Cherche-Midi)-their breads are famous and shipped around the world but I really love their Chaussons Aux Pommes. 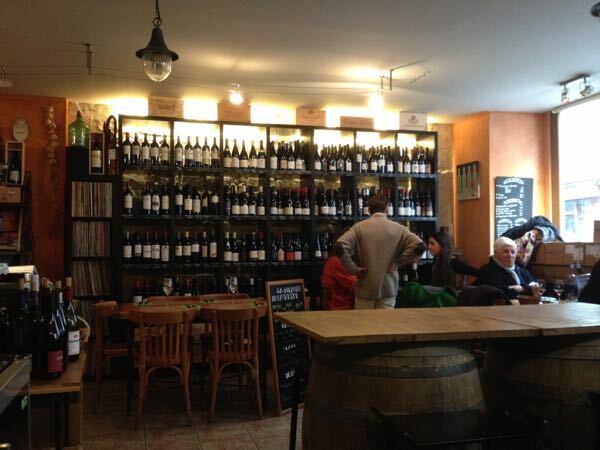 Wine from 5e Cru Wine Bar (7 rue du Cardinal Lemoine)- you can have lunch and dinner here as well as just some wine and charcuterie. They have a vast assortment of wines to buy as well. I had lunch here and loved the wine and food! Cheese-Laurent Dubois (47 boulevard Saint-Germain) is located near Metro: Maubert-Mutualite Metro and has the Meilleur Ouvrier de France (MOF) designation indicating the highest honour for a cheesemonger. 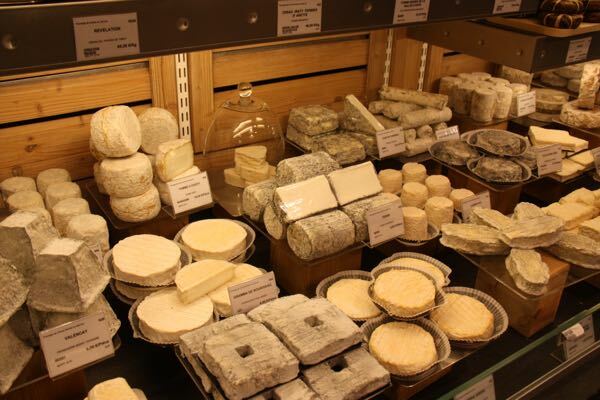 Supermarkets (Supermarche, Franprix, Carrefour), and department store Monoprix, have wine, cheese, and bakery sections in their stores. 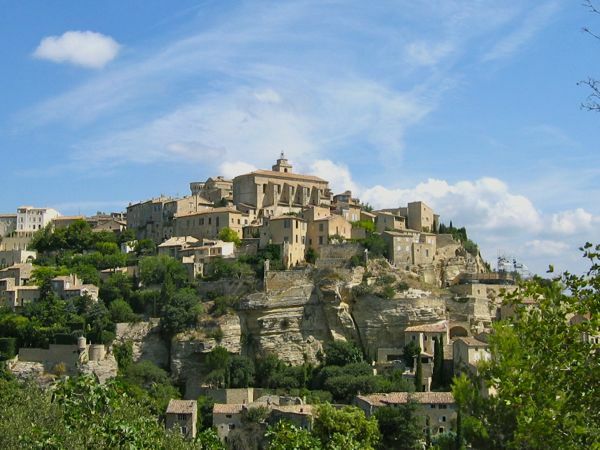 You’ll be able to pick up all your provisions at these stores if you are unable to find a specific boulangerie or wine merchant. What’s your favourite food to bring on your picnic? What a fun post, as well as filled with great information. 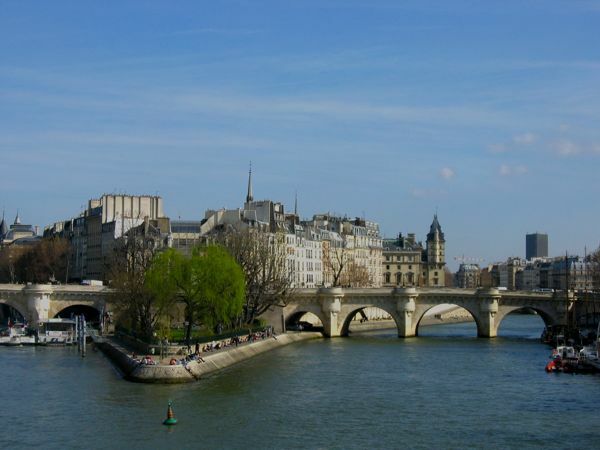 Could there be any better city for a picnic than Paris? Don’t think so. I agree. 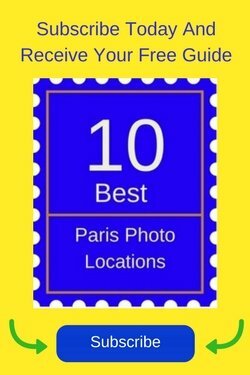 Only Paris could have so many great places. We’ve only been to Paris for a few days and it was spring, and not great picnicky weather. This is a super list for when we return one day. Such pretty spots you’ve picked too. Thank you. Yes, there are so many gorgeous spots to picnic. And even in Spring the weather can be quite warm. I love having picnics when I’m abroad (weather permitting of course). And Paris is a wonderful place for it, with all those parks and French bread and cheese! A Perfect Paris Picnic guide! Love it. Because who doesn’t love a picnic in the City of Lights? And I can’t think of a city where it would be better! 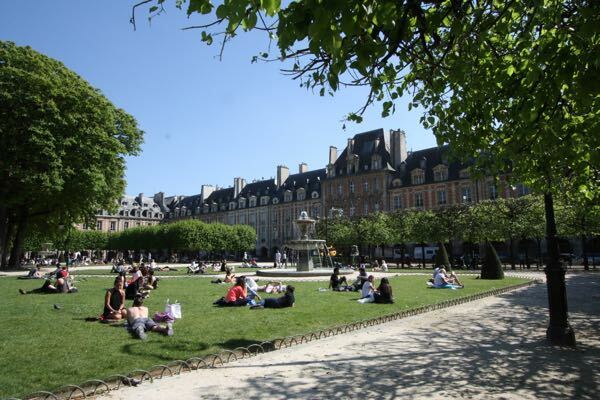 What a perfectly perfect piece on Paris picnics! 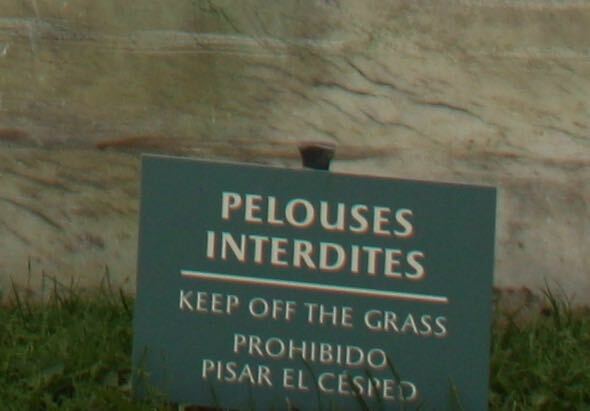 This is by far one of my favorite things to do in Paris. Fresh baguette, cheese and wine and it is perfection. Thanks for sharing your spots we’ll try a few of them on our next visit. That little park on the tip of Ile de la Cite is my favorite! 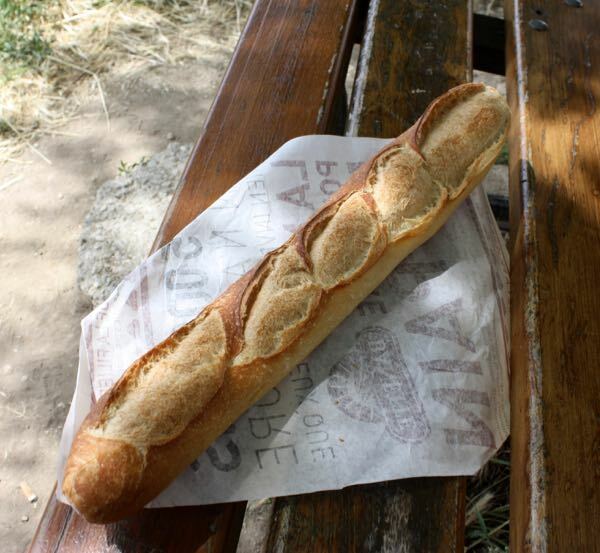 I love a picnic in Paris or really anywhere in France because I love French bread. A slab of bread spread with brie or Camembert and I’m happy all afternoon! Moi aussi! No rush to go anywhere. I just like to stay there and people watch! I’m heartbroken to read the current news about the floods in Paris. 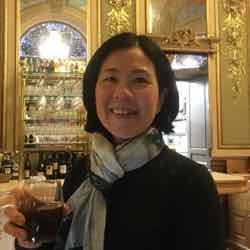 I hope it will be a short time before both Parisians and travelers can take advantage of your wonderful recommendations for warm weather picnics! No better way to get a sense of place than loading up on local ingredients and having fun observing life. Yes, the floods are so sad. Supposedly they have stopped rising so hopefully that’s it. Then everyone can get back to picnicking! 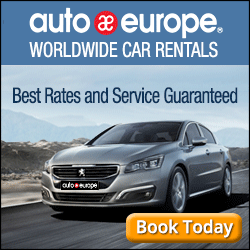 It is a great way to travel cities on a budget by taking a picnic with. We almost always do that and not only to safe money. We love to be outside in the parks and watch the people walking by. The people watching is half the fun!